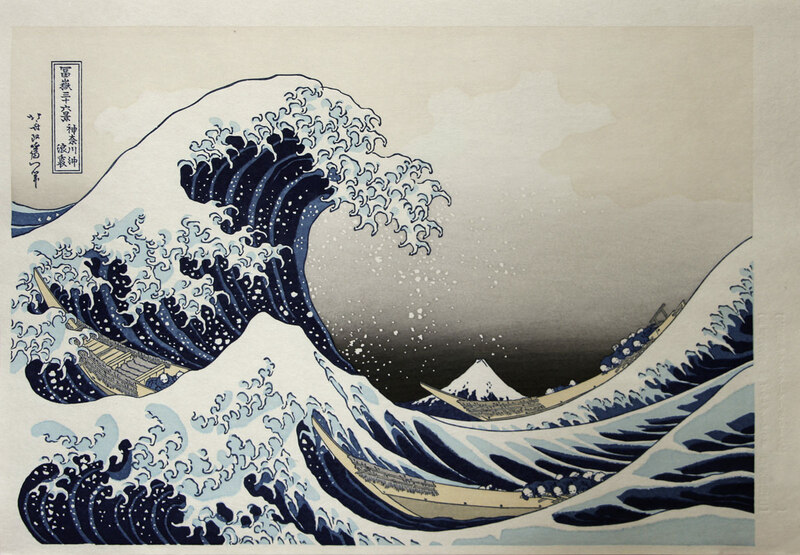 Hokusai's iconic design, in a fresh new reproduction. traced from museum originals, and then carved, by Dave Bull. printed on the famous 'Echizen Hosho' paper, produced in the workshop of Living National Treasure Mr. Ichibei Iwano.